Looking for a getaway from the city stress? Try our chic rooftop lounge at Twin waters. Sitting atop five floors with nothing between its guests and the sky, tempting selection of cocktails and finger bites. 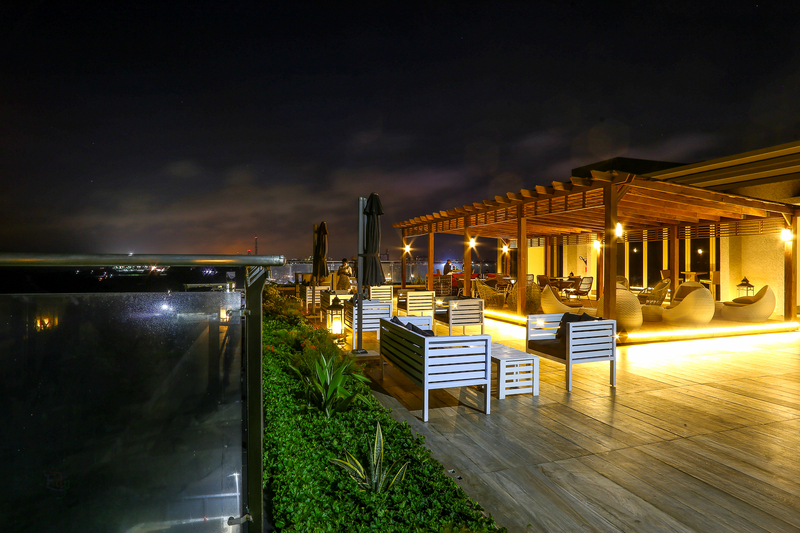 The View Rooftop offers the perfect serene experience away from the hustle and bustle of urban Lagos. Smart Casual: Shorts, Sandals & Jeans are suitable for lunch & dinner but should be worn smartly with shoes. No ripped or torn clothing, active sportswear and rubber slippers are permitted. Management reserves the right to refuse entry to any person considered unsuitably dressed.